Since we announced the price drop, the number of inquiries about the product and the speed at which it disappeared from inventory has been stunning. I think it’s safe to say we were pleasantly surprised by the response. Despite announcing an end to manufacturing webOS hardware, we have decided to produce one last run of TouchPads to meet unfulfilled demand. It is true. There is definitely something magical about that $99 price point, especially when it comes after an original price tag of $499. HP broke the huge news about the company’s change in direction during the most recent investor earning’s call just a few weeks ago. 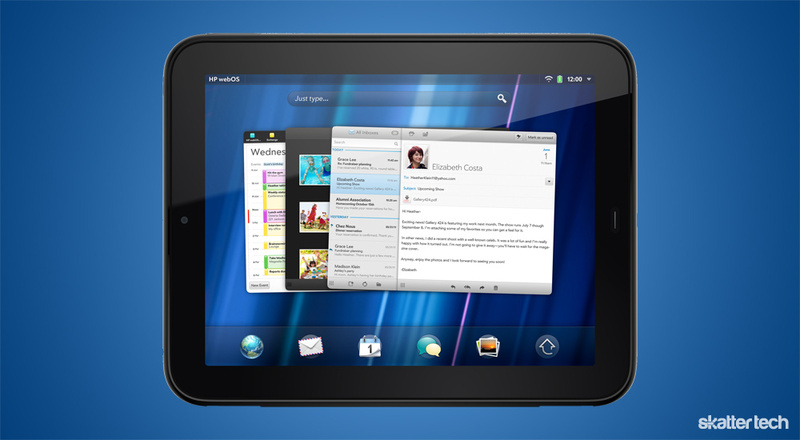 With the decision to close the webOS division which HP acquired from Palm for $1.2 billion, they also choose to slash prices of the TouchPad to liquidate any remaining assets. When news about the $99 price hit the web, sales really began to soar. Previously, the company was struggling to convince people they needed one, especially with all the better options out there like the iPad 2 or Galaxy Tab 10.1. Well, maybe not the Galaxy Tab 10.1. HP says that it will take a few weeks until the final set of TouchPads are available. Those who requested an email notification for the tablet’s availability will receive a heads up. To address the issue of people buying multiple units and then selling them on eBay for a higher price, HP is considering placing an order limit on TouchPads. And believe it or not, there are actually people out there who bought the TouchPad for $499 in its early days. Luckily, those people can receive a $400 refund if they call the retailer where they purchased a TouchPad and explain the situation. Ever since the price drop, consumers have gone nuts over the TouchPad. At its original price, it was a comparably bad tablet. But at just a single Benjamin, it suddenly becomes a gadget worth buying for any purpose. Even as a paper weight, it is still somewhat affordable. Developers have even managed to get Android running on it already just in case HP does not intend to support the webOS platform. While the selection of apps are unbearable limited, the price tag is very reasonable for web browsing. For those not familiar, the TouchPad even comes with a 50 GB lifetime subscription to Box.net for cloud storage. The HP tablet sale reminds me of the original Iphone when it debuted at $600 dollars or something like that. It did okay in sales but when they brought the price down to $199.00 it exploded in sales. Except Apple has always made profits on hardware sales. HP is taking a major loss, not to mention abandoning the entire division. When they sell them this time, they should have limit 1 per customer, so that a handful of people don’t buy half the stock. I think that is the plan, but it will likely be tough to enforce. Retailers such as Best Buy may not follow. Also, some people might go back to the store and pay with a different card for a second unit.